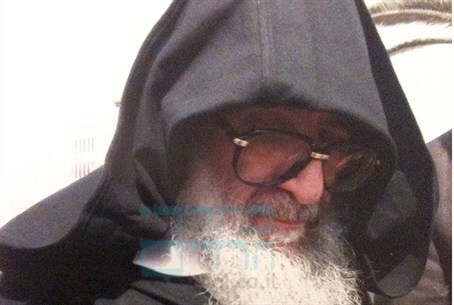 A Be'er Sheva Court extended the remand of the man being charged with the tragic murder of Rabbi Elazar Abuhatzeira. The Be'er Sheva Magistrate's Court extended the remand of the man being charged with the tragic murder of Rabbi Elazar Abuhatzeira. Dahan, 42, from the community of Elad, is suspected of murdering Rabbi Elazar Abuhatssira at its Synagogue two weeks ago in the city. According to reports Dahan's motive for the murder was advice he received from the Rabbi. Dahan, who was reportedly receiving treatment for poor mental health, was sent for psychiatric observation after his arrest to assess the state of mind. Rabbi Elazar Abuhatzeira, grandson of famed Bava Sali, was murdered two weeks ago in Beer Sheva when was receiving congregants seeking advice and blessing. Dahan, who came to ask for a blessing, approached the rabbi to talk, kissed his hand, and then suddenly he pulled out a sharp instrument and stabbed him in the chest and stomach. Dahan fled, but the rabbi's followers overtook and subdue him.